Burma Ruby presents a memorable Valentine's Day dinner. 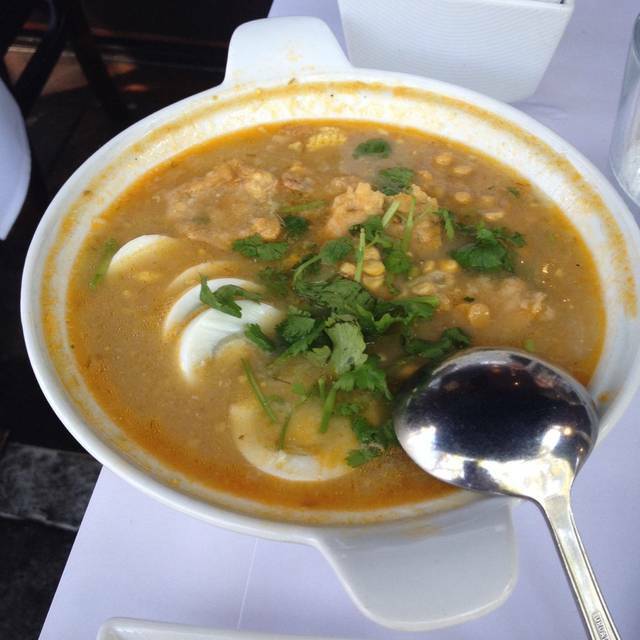 Our Prix Fixe menu offers some of the most delicious Burmese specialties. Dinner for two priced at $85. February 14th, 2019. Burma Ruby, now open in Downtown Palo Alto, was birthed from a desire to bring authentic Burmese food to the great people in Silicon Valley & the San Francisco Bay Area. Chefs Win Tin formerly of Burma Superstars' locations in Oakland and Alameda respectively are joined up to spearhead the kitchen at the new Burma Ruby venue. We pride ourselves in going the extra mile to bring you the ultimate dining experience. From our warm service staff to an extensive menu of outstanding dishes and artfully designed interior with upscale ambiance, it is our mission to elevate your experience with the delights of Burmese cuisine. Food quality has declined over the years, service is friendly but sometimes chaotic. mgr accommodated us even tho I made reservation incorrectly. We fondly remember our first time in Rangoon Ruby years ago. Great food, drinks, and exceptionally well organized service - despite of the extreme croud. We prefer a bit quieter place, so lately we have been visiting Burma Ruby. Food still great, the bar needs a full time bartender - but otherwise previously we did not have any problem. During our last visit the service was a complete disaster. We are not coming back to this place in the near future. Delicious food and interesting cocktails. This was a first for me to eat Burmese food, so I can’t verify how authentic the food is. But the food was creative and tasty, and I will definitely be back. Thank you for the great rating and review! 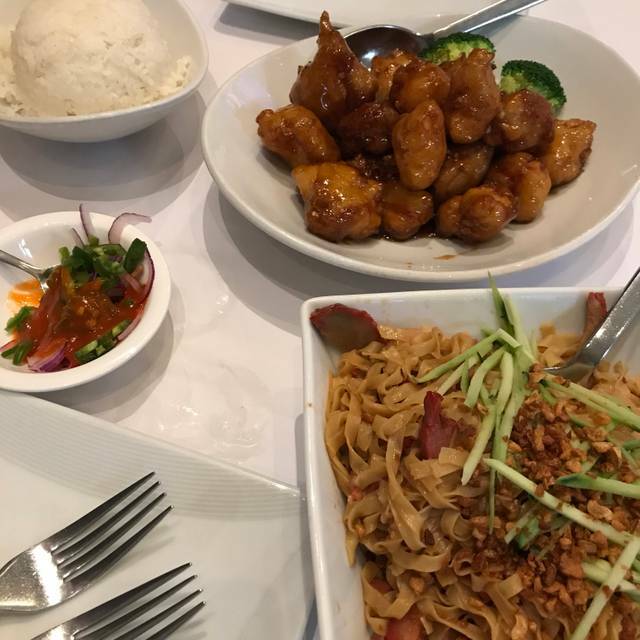 We are glad you enjoyed your first experience tasting Burmese cuisine and can't wait for you to explore more of our menu. We look forward to seeing you next time! Take care. It was our first experience trying Burmese food. The staff was very helpful directing us to authentic tasty food. The food was wonderful! Good size portions and delicious. We enjoyed leftovers the next day. Highly recommend this restaurant. Thank you for the kind words and recommendation, Joyce! We are happy that you enjoyed our food and found navigating our menu a bit easier due to the help of our staff. Our guests deserve nothing less! We appreciate you sharing and look forward to seeing you again. Pretty place, good food, server was helpful but getting food and drinks to us was slow and sporadic. Table next to us came in much later but was served much sooner than we. Partner's food arrived much sooner than mine and way before beverages finally showed up. Someone else's order was brought to our table. No one was minding the front door which stayed open with every exit and entry in a very cold evening. Great food and great presentation! The food was good and peculiar; i.e. an interesting mix of thai, indian and chinese styles, which may or may not be the authentic burmese cuisine (this was my first experience with burmese). There are a few different dishes and/or sauces that you can combine with any kind of protein. The food was tasty and abundant. The service was not great: Slow and sometimes forgetful, but polite. A good place, but not quite great. The food and presentation was great. However the fish soup was saltier this time around and was way too thick. I would've loved it with more broth otherwise everything else was great. Been here before. The food selection is excellent, though certainly more geared towards spicy. The cocktail service is a bit slow, but worth the wait. Delicious food, great service. Very enjoyable evening. took a friend here and had a great time. 2 of 4 guests were very happy with their entre's, the service was great but the tables were close to each other and the noise level was energetic. Food is tasty. Moderately spicy. Prices are reasonable. Service is friendly. Hostess and waiters were excellent. Food was delicious. We had the garlic noodles and chicken crisp. Would definitely eat here again. The food was excellent. We were disappointed that our server did not tell us that cabbage was being substituted for romaine lettuce in our favorites tea tea leaf salad. Otherwise a fantastic experience. We live in Palo Alto and dine downtown often. But for some reason we missed Burma Ruby. Decided to try it and now wish we had not waited. Everything was super but especially the food. We know Thai well but this style was the best. On their recommendation we tried the tea leaf based salad- with cabbage instead of Romaine because of the statewide health warning on Romain. It was excellent and distinctly different from other salads-worth getting. Cheerful and efficient staff. Upscale decor. Generous amount of food in each order. Parking in the city run structure across the street. Our new favorite! Too noisy for us to really enjoy our food. And it took forever to get our wine and even then, they brought the wrong wine. Burmese food well prepared, with excellent vegetarian and gluten free options. We opted for the ginger salad with yellow beans, which was a nice change from the usual tea leaf salad. For our main courses, the Burmese eggplant was particularly tasty, and the pea greens [not a common offering] were prepared well. The Burmese-Indian rice with whole cardamom and cinnamon was light and flavorful. As before, good food and pretty good service too. A bit on the expensive side. Their tea leave salad is to die for. The place gets it all right. Could not recommend more highly. Went for moms birthday and she loved the food. They have her a special dessert for her bday. This was my second time at Burma Ruby, it was recommended by someone who works for the San Francisco 49ers. Both meals were superb, the service great and experience outstanding. I’m from Boston and am sure to return when my travels take me back. This is my favorite restaurant in Palo Alto. The tea leave salad is amazing! It was our special day and you made it memorable for us. Food is consistently good at Burma Ruby- no complaints there! I’ve been many times. This time it was so busy it was unpleasant. Tables so close together that when other diners got up the chairs hit our backs. The waitress had to reach across the table to serve food- spilled salad trying to get it on my plate! Felt like they wanted us to order, eat and get out as soon as possible. Bummer of a night. 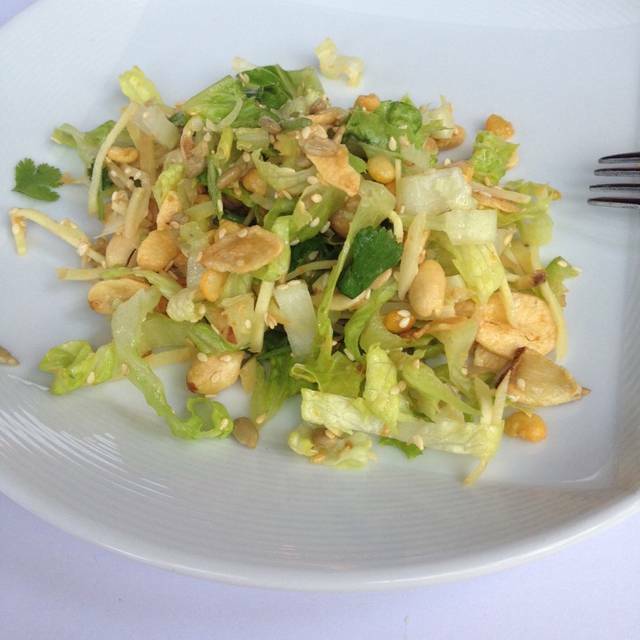 Tasty and healthy- have the tea leaf salad for sure. Food was excellent but service was very slow for a lunch crowd. We got our food very late as it took at almost 1.5 hrs to get out. Also they did not check us in on opentable when we had reservations. Food was authentic and tasty. Service was great too. Amazing food and really cool atmosphere!! Service was great too. For a change, I always bring my out-of-town friends to Burma Ruby. I enjoy its delicious food and friendly staff. The food was fabulous. We had the Rainbow Ruby Salad and the Burmese Chicken Salad. Even though the rainbow salad had pepper flakes & some jalapeno peppers, it was not spicy at all. The chicken salad, on the other hand, had a little kick. We dined "family" style with one dish from every meat category, pea sprouts, and the fried rice. We had enough for delicious leftovers the next day. Stopped here on the way back from Stanford Univ. Very delicious meal. We were the only customers for a late lunch, so service was very attentive. Burmese fish chowder was very good. The menu looks very much like Burma Superstar, so if you have been there this is similar. Recently there have been a uptick in Burmese places. This chain is one of the good ones.